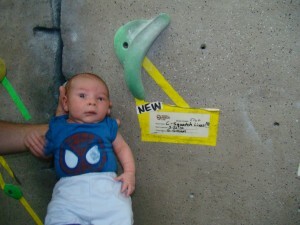 One of Canaan's last outside climbs while on the inside. A mountaineer doesn’t choose Everest for his first alpine climb. A figure skater doesn’t begin with a triple-axel. And you can’t expect your sweet bundle of joy to turn into a cragbaby overnight. You’d better take a few runs on the bunny slope first before tackling the moguls. 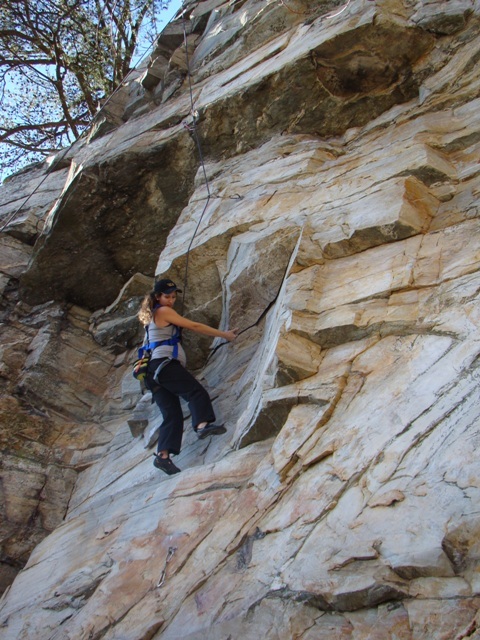 In the climbing world, the term “approach” is used to refer to the initial hike that one takes to get to the base of the route you are going to climb. 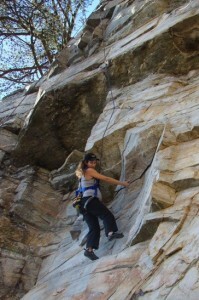 Depending on the climbing area, the approach could be anywhere from a few feet away from your car to a multi-day hike. 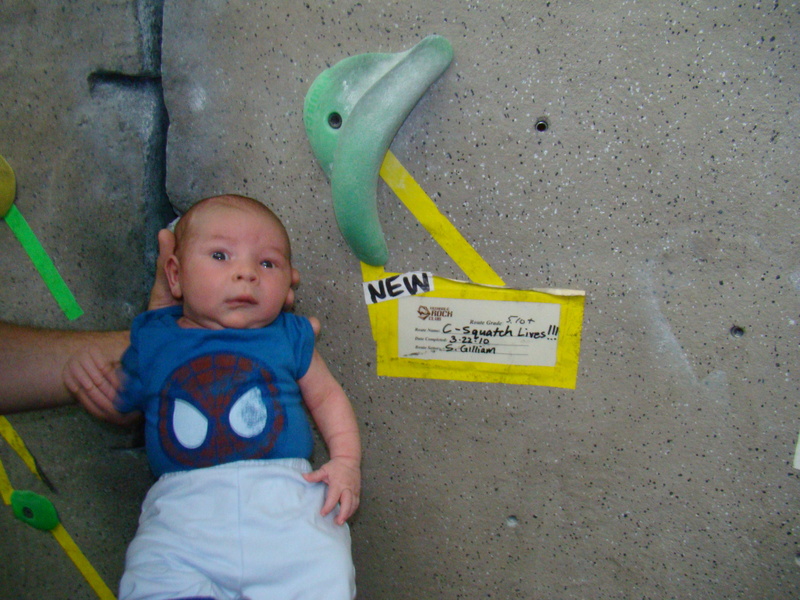 Before your baby is ready for the crag, you’ve got to figure out the right approach to get you there. 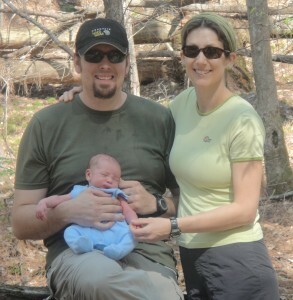 Our first family hike with 12 day old Canaan, celebrating the day he was SUPPOSED to arrive! Ideally, your little one’s training begins in the womb. 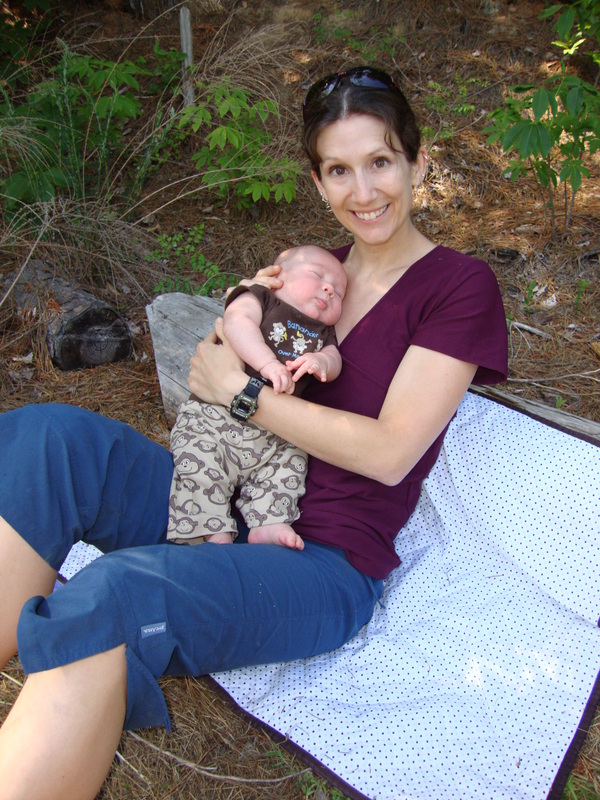 Research has shown that not only is exercise beneficial for mom during both pregnancy and labor, it also has many benefits for baby as well. If you decide to use pregnancy as an excuse to sit around all day eating pizza and ice cream, you won’t have the physical ability or mental motivation to take baby out for any type of recreation, especially during those early weeks of round the clock feedings. So turn off the TV and get off the couch so you can give your little jelly bean 9 months of practice from the “inside”! 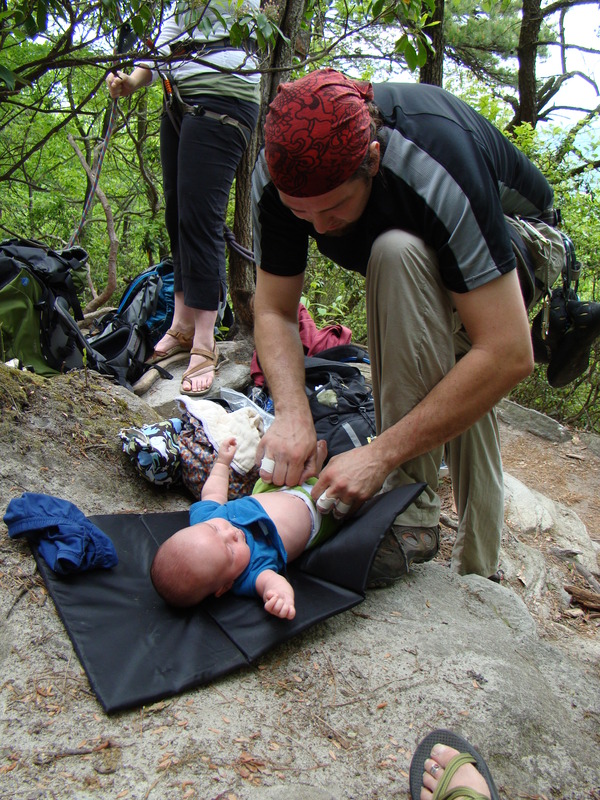 Once your little guy or gal arrives, its time for a cragbaby action plan! The first step is to ACCLIMATIZE YOUR FAMILY. Alpine climbers have to take special steps to make sure that their bodies can adjust to the decreasing oxygen levels at higher altitudes – one way they do this is by “climbing high, and sleeping low.” By climbing up a few thousand feet during the day but returning back to a lower altitude camp at night, the body can adjust to the higher altitudes in a safe and controlled way. To make sure your whole family is ready for the committment of a full day out in the woods, acclimatize slowly by planning a few local mini-adventures! These first few forays into the outside world don’t have to be complicated – in fact, simple is better (and less stressful!). They can be anything that serves as a chance to practice (on a smaller scale) some aspect of the adventures you have planned for later (“Climb high.”), but close by so you that you have an easy retreat when the activity is over (“Sleep low.”) Remember, babies are flexible, and their needs, although often, are really basic. 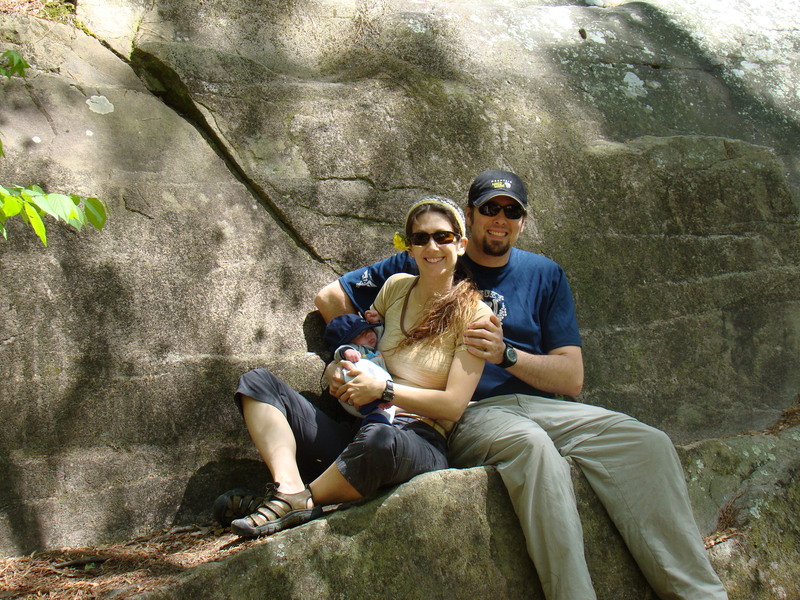 These family outings are really designed more for you as a parent to figure out your “system” for doing things. Sure, its advantageous for your baby to be exposed to a wide variety of new sights and sounds, but for a newborn, home is where the Mommy is. So as long as you’ve got that covered, feel free to hit the trail! A fallen log works out great for a nursing chair! Use these local mini-adventures to narrow down your gear options, so that before you hit the crag for real you can work on the next important thing – PICKING YOUR PORTERS. A mountaineer wouldn’t dream attempting a big expedition without choosing to hire the right porters to help carry their gear – food, water, oxygen, camping supplies, first aid, etc. The “Sherpas” are a people group from the Himalayas that are most well-known for their skills as mountaineering guides and porters. These guys are well-respected in the international climbing community for their toughness, knowledge, and experience. Some speculate that these abilities are genetic adaptations from living at such high altitudes. 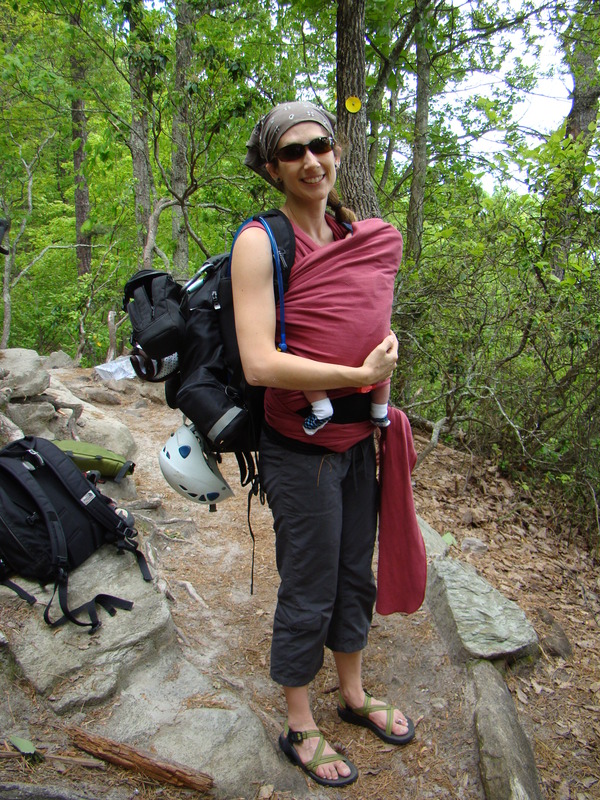 For all of OUR cragbaby excursions however, we serve as our own porters, so choosing the right way to carry our gear was a MUST in our family’s comfort at the crag. We searched far and wide for the perfect pack. For a typical day at the crag, we needed to be able to transport baby, baby gear, climbing gear, and our food/water. Our system ended up being Steve carrying all of our climbing gear in his bigger crag pack, with me carrying Canaan in a front carrier (we found pros and cons with both the Baby Bjorn as well as the Moby Wrap) as well as a backpack style diaper bag on my bag filled with our food, water, and all of Canaan’s gear. 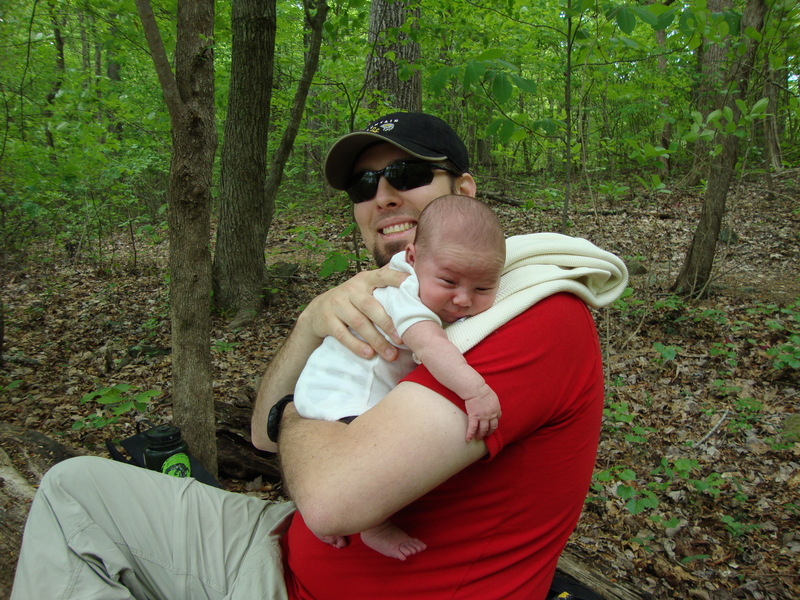 We used the (aptly named…) “Baby Sherpa” backpack, and were pretty happy with it. We liked that it had a cooler section built in to the bottom as well as a removable changing pad,and loads of pockets on the inside as well as the outside. It was kinda bulky for everday use, and certainly wasn’t as stylish looking as the cute over the shoulder messenger bags, but it was durable and comfortable on long approaches. 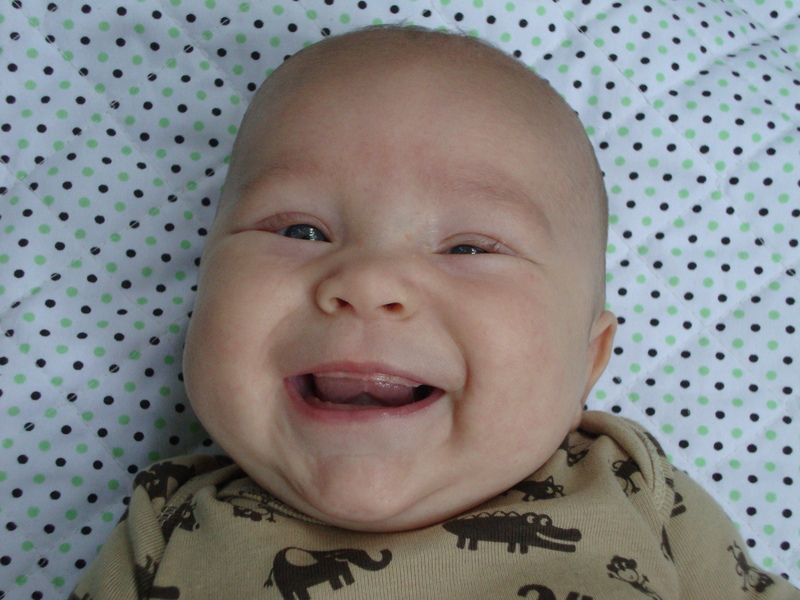 But, since babies are constantly changing, your system must be flexible and open to change as well. Once Canaan was able to sit up on his own without support (at just under 6 months) we’ve been able to use the Kelty Kid Carrier that our good friends Norbert and Manuela bought for us – and it has made life so much easier! We still divy up the gear the same way, but its a lot easier hiking with all of my items in one spot, rather than split between my back and front! 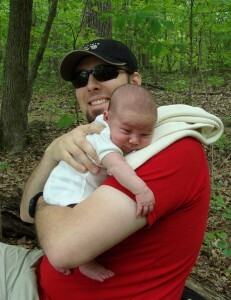 Moby Wrap on the front, Baby Sherpa on the back! 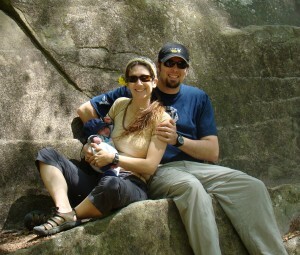 Finally, the last and possibly most important part of cragbaby training is to REALIZE THAT YOU WON’T ALWAYS SUMMIT! Any experienced mountaineer knows that lot of attempts end somewhere mid-route rather than at the summit. You can be in tip top physical condition, and have all the right gear, but there are still numerous things out of your control. Weather, illness, injury, wildlife – these are just a few of the culprits that might keep you from reaching the top. But a seasoned climber also knows that the real adventure is in the journey, not the final destination. And in the end I want to recommend you Coast2Coast Ottawa trainings. CPR training classes give you the information and the skills you need to help adults, children and infants during breathing and cardiac emergencies. Whether you choose in-person or blended learning CPR training, our world-class instructors deliver the most up-to-date information that’s engaging and effective. Nice post Erica! I like the comparisons to climbing terms. I think you said it all so well…..
Great information! I’m glad I got to be with you all on one of the very first adventures. Cool post! And what fun looking back at the progression from beginning to now. Thnnks for the encouragement guys!